There’s a new focus for Australia’s only Red Bull Air Race pilot Matt Hall this month, as the three-time world championship runner-up turns his attention to paper planes. Hall, who most know as a pilot comfortable rocketing through race tracks all over the world at 370km/h, 30 feet above the water, will take his competitor hat off and put his judge’s hat on for the Red Bull Paper Wings competition. 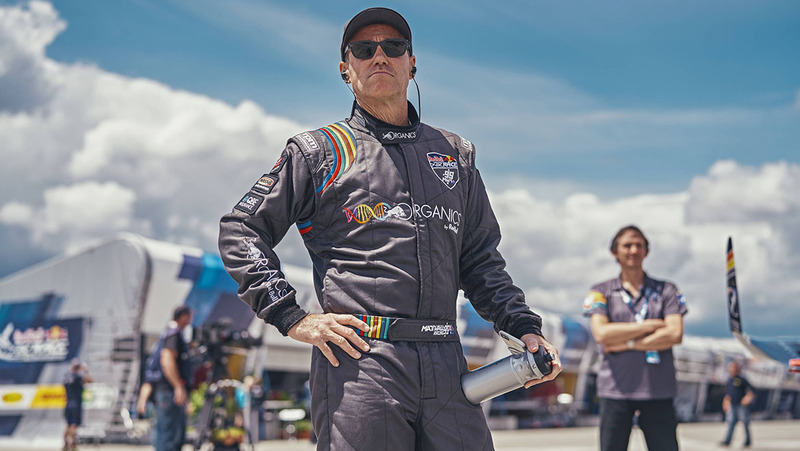 Comprised of three components of distance, airtime and aerobatics, Hall will judge the aerobatic component, which is being held via social media platform Instagram. It is the world’s largest paper plane competition. The victor of the Australian aerobatic competition will win a flight to Salzburg, Austria for the World Finals. There they will compete against the world’s best at Red Bull Hangar 7, a modern-day mecca of the aviation world. But that isn’t all the Australian winner will receive. As an added incentive, they will also win an exclusive opportunity with Hall to experience a proper aerobatic flight in his high-powered two-seater aircraft. In a twist to that competition, Hall will use that flight to try and re-create the aerobatic sequence flown by the Australian victor’s paper plane. While Red Bull Paper Wings runs according to a worldwide set of rules and prizes, Australia has become a global leader in 2019 by offering a real-life flight for the aerobatic paper plane champion. Hall said that it’s a unique way to engage a new audience with aviation, adding that it would be interesting to see if he could replicate the flight of a paper plane with the real deal. “There isn’t one person that didn’t spend time making paper planes at school when they were younger, so it’s great to now create a link between that and what I and so many others do in aviation,” Hall said. Whether or not Hall can accurately reproduce the flight of a paper plane will remain unknown until a winner is crowned and he has time to plan an aerobatic sequence that matches what the paper plane did. Back in 2015 the global winner of the Red Bull Paper Wings aerobatic component was budding Lebanese aeronautical engineer Avedis Tchamitchian, who’s flight was described as “defying the laws of physics”. They’re the same laws which might determine the success of Hall’s challenge. “If the Australian winner creates a plane so advanced that it defies the laws of physics, I might have my work cut out for me,” Hall said. The Red Bull Paper Wings competitions for distance and airtime have been held at university campuses in Perth, Melbourne, Brisbane, Newcastle, Adelaide and Sydney over the past month. The aerobatic component is now all that remains, with entries open until 2359 AEST Thursday, April 18 and submitted via Instagram. Voting will take place from April 19-22, with those voted in the top third to have their flight submitted to a judging panel, including Hall. More details can be found on the Red Bull Paper Wings website. VIDEO: Highlights from the 2015 Red Bull Paper Wings competition, where Avedis Tchamitchian was crowned the winner, from the Red Bull YouTube channel.